Very helpful. :) Thank for you sharing such a detailed review. We have the book and have begun working through it at home using the book, the resource videos, and Alcumus, but it sounds like my son would still really benefit from the challenge and mentoring the class offers. Also, I'm guessing they would be able to expect and evaluate the written problems from him more easily than I would -- something that I think would be great practice for him. Thanks so much for the thoughtful and thorough review. The online course does not have any audio or video. I am not sure if a text only session can keep all the students equally engaged. I hope the teaching assistants engage students who are not responding to questions asked in the chat session. I just wanted to note that the Well Trained Mind Online School has started teaching year-long math classes using this curriculum. So instead of doing the course in five months or so, your child can take much longer. 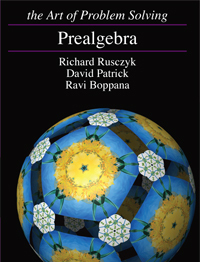 The textbook really is excellent, so if you have the opportunity to slow it down for a less-mathy kid it would still be worthwhile.